Dr. Caitlin Hudac was the guest lecturer in Wendy’s PSYCH 560 class yesterday. 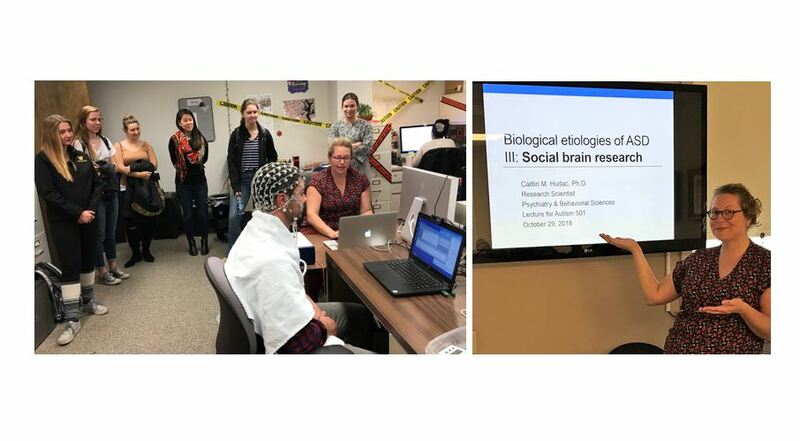 Caitlin described her research exploring the “social brain,” using measures of EEG, ERP, MRI, and eye tracking in children with and without autism. As a bonus, she provided an EEG demonstration with Trent as our model. Thank you so much, Caitlin (and Trent)!